Please Note: Gratuities will be paid in advance ($110 per person will be added to your final invoice for gratuities to be paid to driver, guide, and hotel staff). You will be met at the airport and transferred to your hotel. The rest of the day is free to explore on your own, shop, relax and prepare for the excitement to follow. This morning following breakfast we visit one of Europe’s most renowned cathedrals, St Stephens. 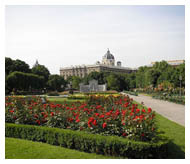 We then have a panoramic city tour viewing Vienna’s most famous historic sights including the Ringstrabe, with its magnificent buildings, the State Opera House, Parliament, etc. We then visit Hofburg Palace, residence of the Hapsburgs and home of the famous Spanish Riding School. The highlight of touring today will be a visit to Schöenbrunn Palace and the royal apartments. Our destination today is Salzburg, the Baroque city forever associated with both Mozart and the “Sound of Music.” A jewel in a perfect mountain setting on both banks of the Salzach River, the city and the surrounding countryside are dominated by the magnificent Festung Hohensalzburg, a 12th century fortress 500 feet above the town. We visit the birthplace of Mozart, now a museum; also the 17th century Residenzplatz, with its 40-foot high fountain; and the Benedictine Abbey of St. Peter. The remainder of the day is free with many things to do and see. This morning we travel to the nearby Mirabell Gardens, scene of the Sound of Music, before continuing on to Munich. Our sightseeing begins with a driving tour of Munich including outside views of the Olympic Stadium, Pinakotheken art museums, Royal Palace (Residenz), National Theater, and the world famous Hofbräuhaus. 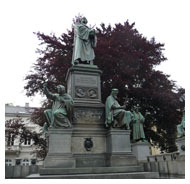 Take a walking tour of the Marienplatz which lies at the heart of the Alstadt in the city center. 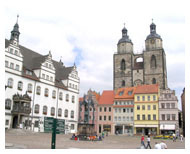 This lively, attractive square houses the Gothic New Town hall (Neue Rathaus) with its famous Glockenspiel and the Old Town Hall. This morning we transfer from Munich to Oberammergau. You will have some free time to enjoy the delightful village of Oberammergau with outstanding opportunities for photos and shopping. 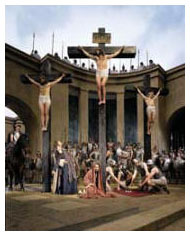 This afternoon and evening we enjoy the Passion Play production. The play depicts the story of Christ's Passion, beginning with the entry into Jerusalem and ending with the resurrection and transfiguration, a moving and spectacular experience. 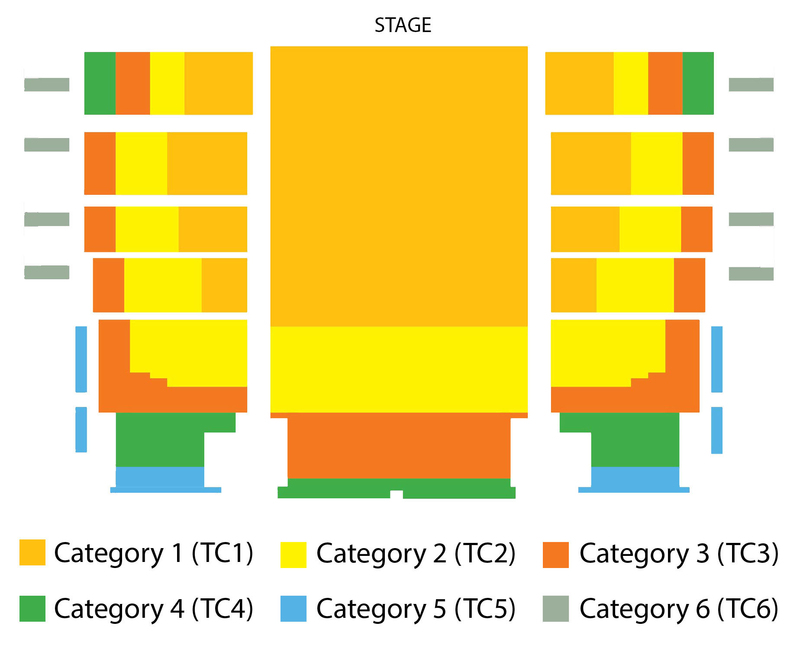 Each performance starts at 2:30 PM (1:30 PM start time after August 17th) and ends approximately 10:30 PM (9:30 PM after August 17th), with a three-hour included dinner break/intermission from 5:00 to 8:00 PM (4:00 to 7:00 PM after August 17th). We stay overnight in Oberammergau or surrounding area. This morning we travel north to the ancient city of Augsburg, the place where the Augsburg Confession was presented. Our morning drive will allow for time to rehearse this important document and digest the tremendous meaning it has as the basis for much of our doctrine today. It was also here in 1518 at St. Anne's Church that Luther met the papal legate, Cardinal Cajetan, who demanded that Luther submit to the pope. Augsburg was also the site of another Imperial Diet (1530). This afternoon we travel the panoramic "Romantic Road" and visit the best preserved medieval town in all of Europe, Rothenberg ob der Tauber. We see the quaint Rathaus (town hall) with its impressive tower and have some free time for coffee and shopping in the many delightful shops. You may choose to visit on your own the Kriminal-museum, housing all manner of medieval instruments of torture. Overnight in Rothenberg. We transfer to the airport for our flight home.